Culture | A large chandelier – side view. 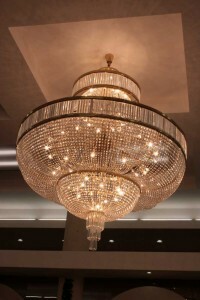 A large chandelier – side view. The stairs leading up to the entrance in the organ hallSquare lamps in the niches.